The picture above is of our front door. 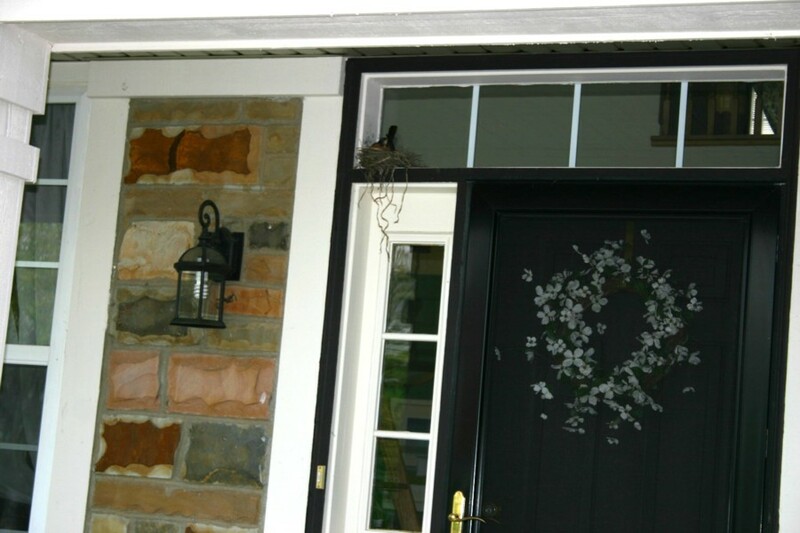 Can you see that little bird's nest above the door, on the left hand side? That is the home of Bird Girl. 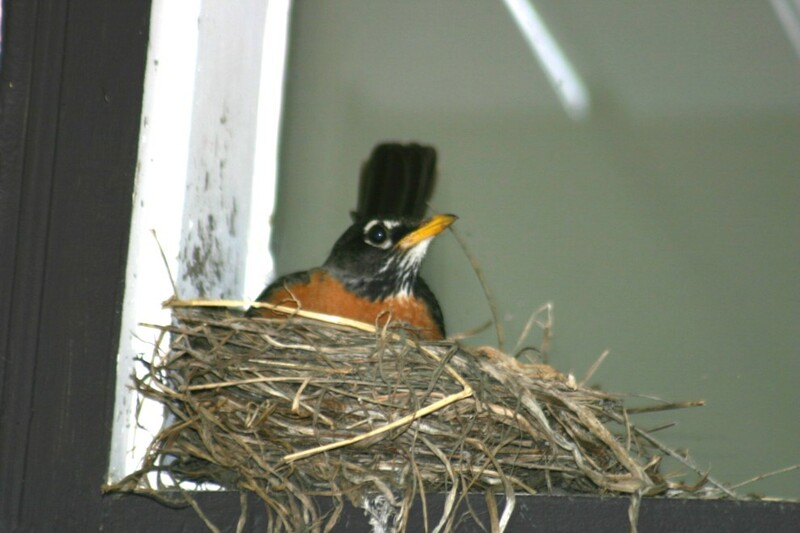 The boys gave her that moniker, and she is a new mother robin. This new mother is in "full protection" mode which makes it slightly dangerous exiting our house via the front door. Still, all things being equal, we'll let her have her space until her babies take wing. It is a small inconvenience for us; for her it is a more serious prospect, having us tromping around directly underneath her home. That picture is about ten days old. 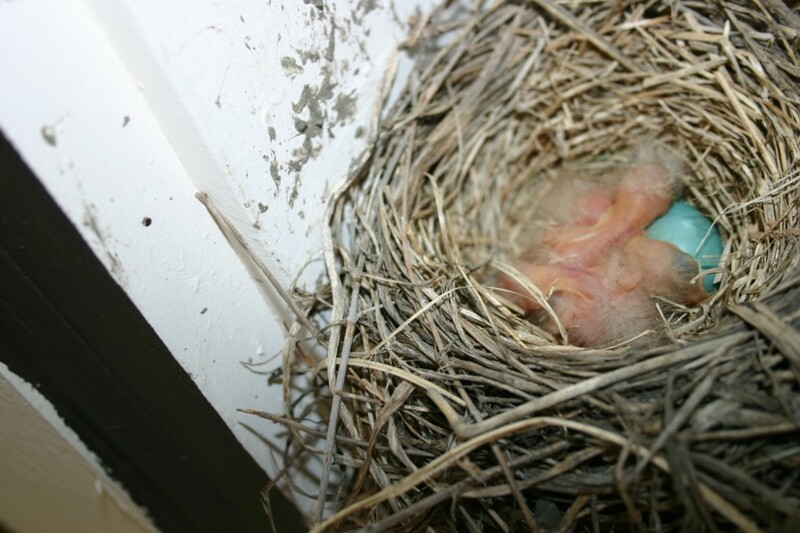 The last egg has hatched, and all three chicks are now much bigger. Perhaps later today I'll try to sneak up there when she is away and get another snapshot of the nest.